Dhaka, July 6 (Just News): Bangladesh Nationalist Party on Friday hit back at prime minister Sheikh Hasina, saying election under her is equivalent to ‘security’ of innocent animal under ‘wolf’. 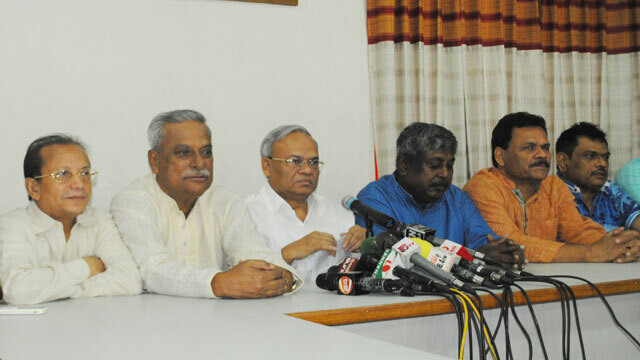 BNP senior joint secretary general Ruhul Kabir Rizvi made the remark at a news briefing at the party central office, responding to prime minister Sheikh Hasina’s comment made on Thursday at Awami League’s parliamentary party meeting. Hasina had commented that that BNP would contest the next general election in any way. The next general election is likely to be held in December this year. Rizvi asked the prime minister by dint of what spiritual power she came to know that BNP would join the election under her. He said the prime minister has confined free, fair and participatory election to ‘iron made ark’ and inside barrel of ‘police gun’. ‘So national election under you [PM] and security of innocent animal under wolf is the same thing,’ Rizvi said. He said presently there is no atmosphere for free, fair and acceptable election in the country. The senior joint secretary general said BNP would not go to the general election without the party chairperson Khaleda Zia, who was sentenced to five years in jail in a graft case by a Dhaka special judge’s court on February 8.